For the eighth time, the FNL Cup will kick off on February 2. Organised by Russia’s second division the Football National League the winter tournament is an important part of the three-month-long winter break. It might be just a winter tournament, but in many ways, the FNL Cup is a highlight of the Russian league calendar and also a symbol of post-Soviet football cooperation. 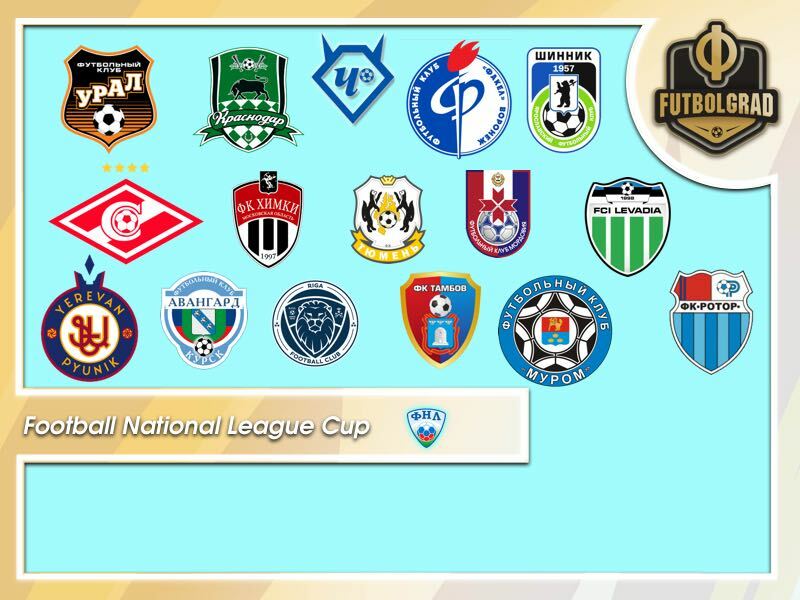 Like the CIS Cup that took place from 1993 to 2013 the tournament does not only include teams from the Football National League but also regularly features Russian Premier Liga side Ural Yekaterinburg and teams from other post-Soviet republics. This season, for example, participants include the Armenian side Pyunik Yerevan, Latvian side Riga FC and Estonian side Levadia. Furthermore, clubs from the lower divisions also make up the numbers with Professional Football League (third division) club Murom making up the numbers this season. The makeup of the competition has changed over the years from a single league structure to the competition being broken up into several groups. 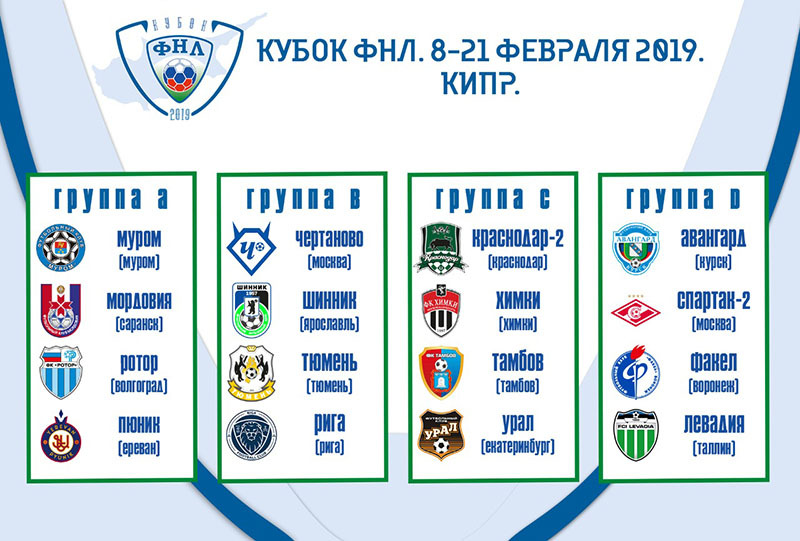 This year the 16 teams participating were broken up into four different groups: Mordovia Saransk, Pyunik, Rotor Volgograd and Murom make up Group A; Shinnik Yaroslavl, Tyumen, Chertanovo, and Riga FC play in Group B; Ural, Khimki FC, Krasnodar 2 and Tambov play in Group C; finally, Kursk, Levadia, Spartak 2 and Fakel Voronezh make up Group D.
Games will take place from February 8 to February 22 in Cyprus, which is home to a large Russian expat community. The favourites are once again Russian Premier League side Ural, who have won the tournament on three previous occasions (2012, 2013 and 2018). Ural are the record winners of the tournament but despite being a regular at the FNL Cup have not always walked away with the trophy. In 2014 the tournament was won by Luch-Energiya Vladivostok, then the following year Volgar Astrakhan celebrated won the title. In 2016 Gazovik Orenburg, later renamed FC Orenburg, launched their successful promotion campaign from the FNL to the Russian Premier Liga by winning the tournament and finally Fakel Voronezh won the 2017 edition. Nonetheless, this year’s favourites will be once again Ural. The club from Yekaterinburg has played a solid season in the RPL where they are currently where they are currently in ninth place and within striking distance of European qualification places. What has to be kept in mind, however, is that the tournament often features trialists. As Andrew Flint explained on the recent Futbolgrad Podcast clubs in Russia use the winter to make the majority of their transfers as they have the time to integrate new players. This is in many ways a left-over from the old Soviet league calendar in which league games took place from March to the end of November. While the Russian league calendar was shifted in 2012 the winter break remains much longer than the summer break and, as a result, the primary transfer window for Russian clubs. What is, however, the most fascinating aspect is the post-Soviet flair of the competition. Founded in 1998 Tallinn based Levadia have won the Estonian Meistriliiga on nine different occasions. Unlike Russia Estonia still utilises the old-Soviet football calendar and, as a result, this will be part of the club’s pre-season preparation. Joining them will be Riga FC. Founded just five years ago the club from the Latvian capital is the reigning Virslīga champion. Like it is the case with Levadia, Riga FC are a Baltic club. In general, Russian relationships with the three Baltic states have been strained in the last few years. All three states have sizeable Russian minorities within their borders, which has caused political frictions in the past and at times has even caused worries that the Russian government could interfere militarily in the former Soviet republics. In the light of this, the participation of the two Baltic teams comes with an interesting political undertone. Then finally, there is Pyunik Yerevan’s participation. Currently in third place in the Armenian Premier League, the club was founded in 1992 and has won the Armenian championship on 14 different occasions. Like Levadia, Pyunik will, therefore, add a significant championship pedigree to the FNL Cup. The FNL Cup will be a fascinating tournament to watch. It is a mix of lower league Russian football, with some unheard of signings trying to break their way into professional football, post-Soviet cooperation and some significant championship pedigree Armenia and Latvia. Hence, if you are holidaying in Cyprus, it might be worth attending some of these games. just seen this. interesting! thank you.